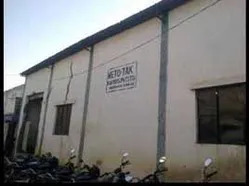 Established in the year 2002, by Mr. K S Sable, we Yoj Pack Kraft, is a reputed manufacturer of Packing Products. 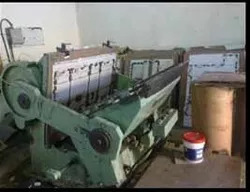 Our company is a reputed manufacturer and trader of Corrugated Boxes, Corrugated Packaging Boxes, Honeycomb Boards, Paper Honeycomb Pallets and many more. We offer a range of packing solutions to industries like, textile, food, medical & others. Our high tech infrastructure is supported by a talented manpower, which helps in delivering durable, reliable and quality products known for their strength and versatility. Our range of products are used in most industries irrespective of it's size and magnitude. We deal in our own brand name as Yoj-kraft. 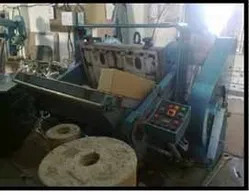 We manufacture quality products, which is of higher functional efficiency & cost-effective. This helped us to acquired the trust, support and assurance of our clients. The customer services of our company are among the best in the industry. Our company has earned a respectable position in the domestic as well as in the international market through our range of best packing products. We are aimed to being ahead with our superior quality products. 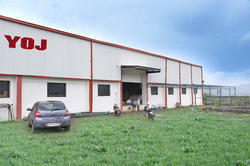 Our totally self-contained plant with requisite testing facilities helps us to execute our planning. The strong infrastructural support and a dedicated team of ours help us to deliver our packing products to all over world. We are continuously progressing under the capable guidance of our CEO Mr. K. S. Sable . Their motivation encourage the entire team to perform their best, which results in achieving the organizational goal. Owing to their in-depth knowledge and experience, we are able to establish a strong foothold for ourselves in this domain. Our state-of-the art manufacturing unit set-up is a one stop for all printing and packaging solutions. It is spread over an area of 12,000 square feet. The manufacturing unit is designed to meet international standards at every stage of production. Keeping in view the demands of the various items to be packed and the pocket of our clients, we emphasis on manufacturing latest & updated range of packing products. To be a leading brand in honeycomb products by staying committed to quality, innovation, discipline and customer delight all this towards a greener tomorrow. To be a pioneer in converting users of traditional material in packaging and construction to our greener and cleaner option. Our primary focus will be on strong research, innovation and development as well as on achieving very high reliability as a supplier to all our clients. Our company is engaged in the manufacturing of a wide range of packaging material, which provide solutions to different industries. We are engaged in the manufacturing of a wide range of packing materials & products, which provides numerous solution to industries in their packing. Manufactured from the use of the latest technologies and qualitative range of raw materials, our range of products are corrugated boxes, corrugated boxes, printed cartons, corrugated rolls, honeycomb boards and others. Our range of products are highly durable, easy to carry, available in different patterns, shapes and sizes, reasonable price etc. We ensure that the best raw materials are chosen for our products, so as to manufacture quality product. Our products has the capability to fully customize our boxes to fit the requirements and specifications of our customers. Our company have a wide client base all over the globe. We have established ourselves as a leading player in the domestic market of packing products. Our huge clientèle is a proof of our expertise in this industry and assurance to our prospective customers of our credibility as a dedicated organization, manufacturing quality products. Our company have successfully carved a niche for ourselves in this highly competitive market. This enabled us to become a market leader.